(Newser) – Apparently the Babysitters Club turned into more of a Babysitters Gang as they got older. 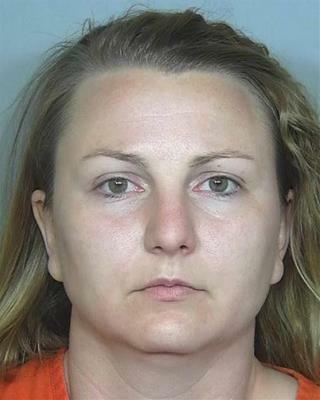 The Coloradoan reports a 28-year-old babysitter allegedly used the two children she was taking care of to rob a bank Friday in Severance. Authorities say Rachel Einspahr pulled up to the drive-thru at the Colorado East Bank & Trust and used the vacuum tube to send a note to the teller. The note claimed there was a man in her SUV who was threatening to hurt her kids if she didn't get money for him, reports the AP. She beat an "armed" bank robbery charge. Clever. But not clever enough. well at least she's a good babysitter, she didn't abandoned her job as a sitter and left the kids alone. Bank robbing on the other hand...she's not very good at. stick to babysitting?